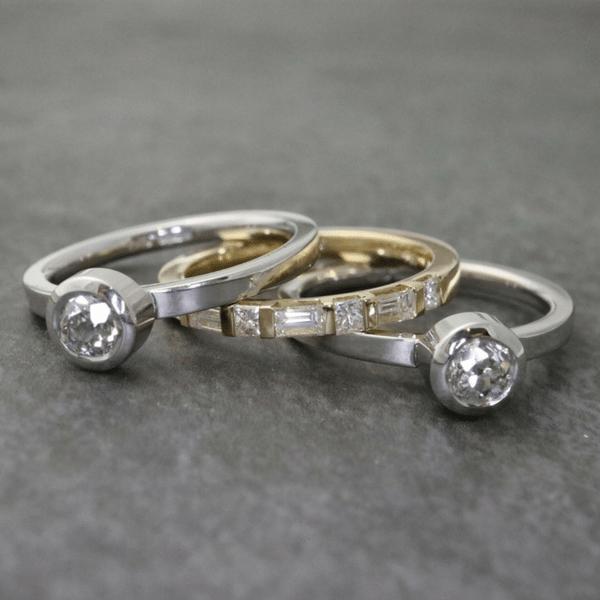 “Pared back” is practically our motto in Stonechat Jewellers, and it’s easy to see why! There’s a lot to be said for keeping things simple in a contemporary but timeless manner. This philosophy is at the core of our design ethos. Let us show you some perfect examples of how less really is more! 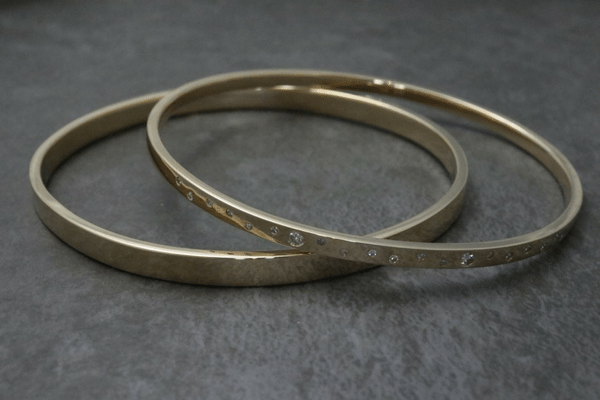 Our stacking bangles are an ideal place to start! 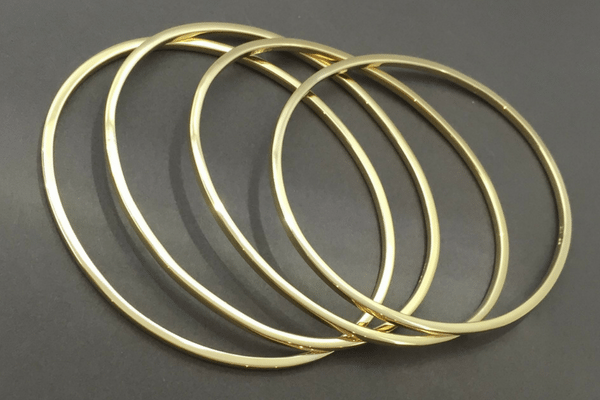 Depending on how much gold you have, you can wear one bangle or stack 3, 4, 7 or even 10 together! Generally made with clean, flat surfaces and a high polish finish, the slimmest option is 2mm wide. Many customers choose to vary the widths wearing, for example, two slim ones and one wider in the middle – it’s all about having the choice! 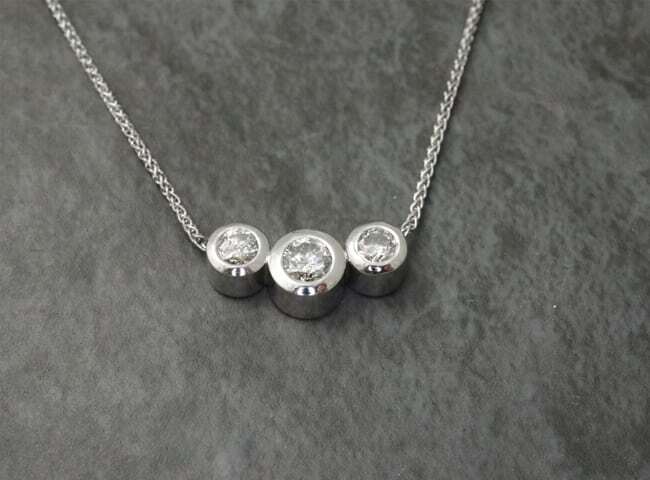 And diamonds can be added if you fancy that little extra bit of twinkle! 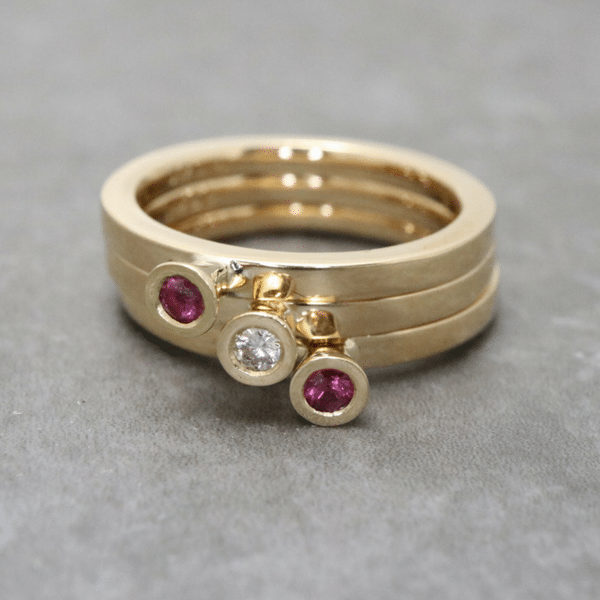 Settings for diamonds and coloured gemstones don’t have to be complicated. We bezel set stones a lot! The reason for doing this is the metal surrounds the stone in a very clean and contemporary manner. 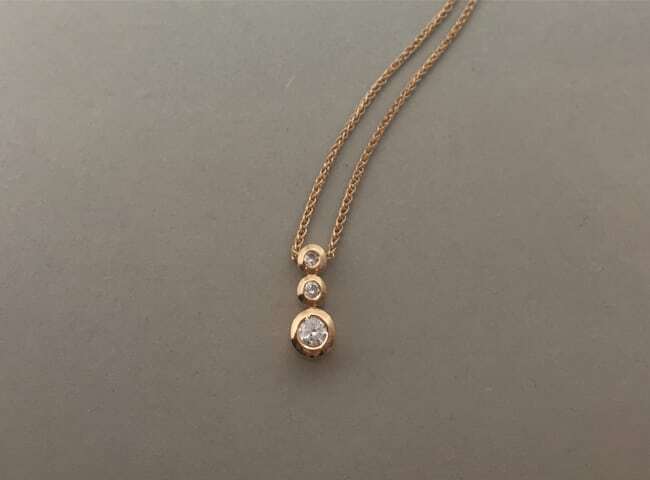 The setting protects the stone and, in the case of antique cut diamonds that are not perfectly symmetrical, it can make the stone look as round as possible. Bezel setting works perfectly on all shapes of stone, be they round, oval, marquise shaped, emerald cut or princess cut to mention but a few! 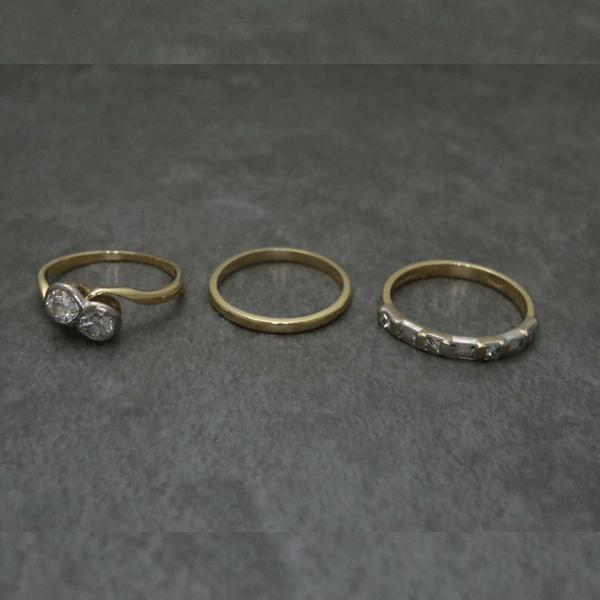 Click the images below to see the original pieces of jewellery that the stones for these bezel set rings came from… what a transformation! 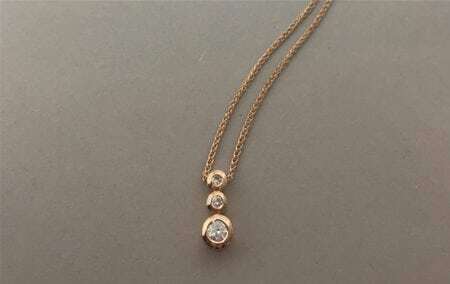 Taking diamonds from a tired ring and setting them into a handcrafted pendant makes them so wearable. 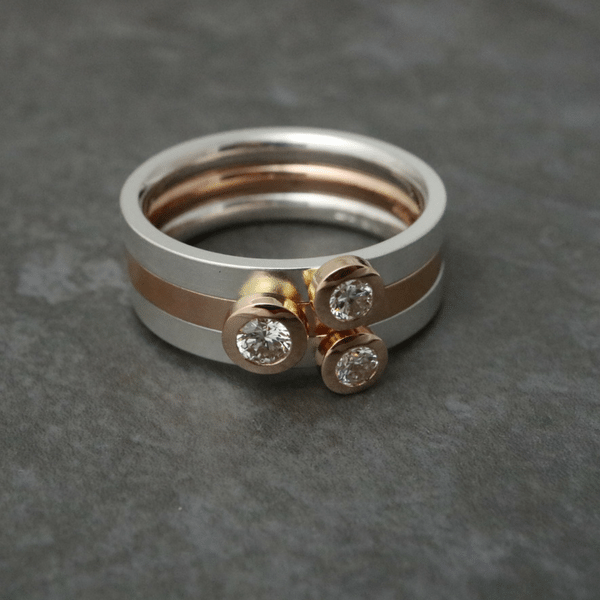 If you have yellow gold, but would prefer white or rose gold, this is not a problem! 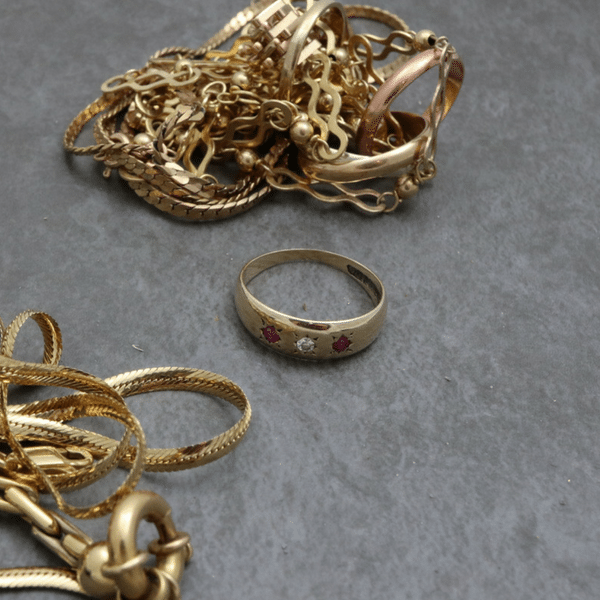 Old gold can be traded in and new gold in the right colour sourced for your piece of choice. The simple options don’t stop here! This is the tip of the iceberg when it comes to clean, minimalist design. 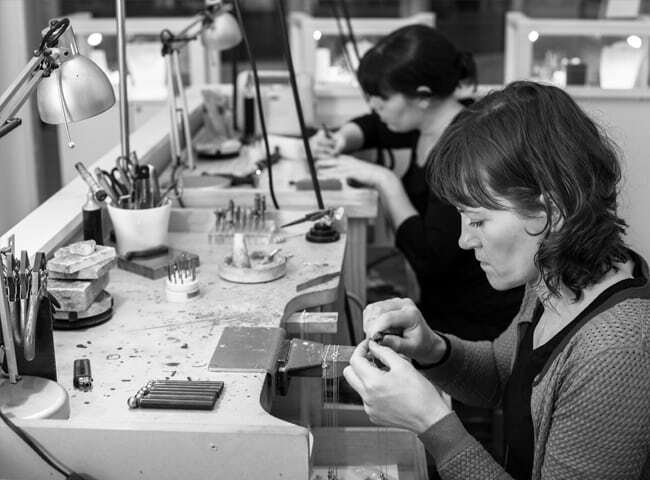 Based in Dublin 2, we handcraft each individual piece of remodelled jewellery in our in-house workshop. We don’t do anything until we have had a detailed design consultation with you in order to go through options, ideas and prices. 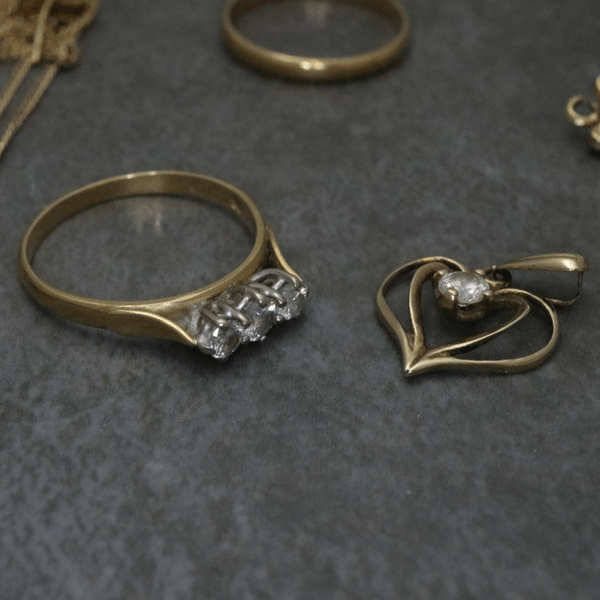 When all the details are clear, it takes approximately 6 weeks to make your new piece of jewellery for you.